Loss of teaching positions. 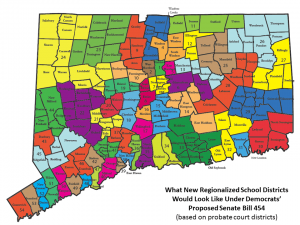 If towns are forced to consolidate, this could impact number of teachers and classrooms sizes. Any bill that the legislature considers, must recognize all of these important factors that impact the quality of education for our students. Sadly, neither of these bills provide that opportunity. As always, do not hesitate to contact me at 1-800-842-1423 or Vincent.Candelora@housegop.ct.gov if you have any questions relating to state government.